Liposuction can guarantee a neat and perfects body shape without much hustle. You cannot deny the fact that you tend to gain confidence when you own perfect body. Excess fats cells are sucked out from abdomen, buttocks, thighs, chest, back, arms, face and neck. 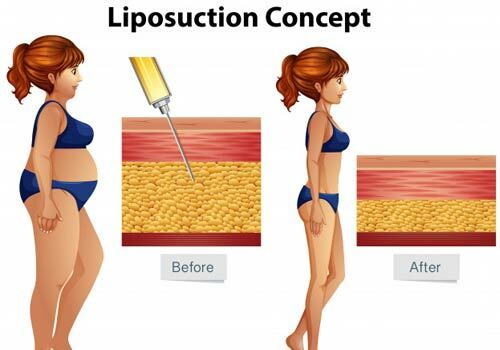 For a traditional Liposuction you are administered with a diluted anesthesia and epinephrine. There is no possibility of blood loss or bruisings, due to accurate fat removal. 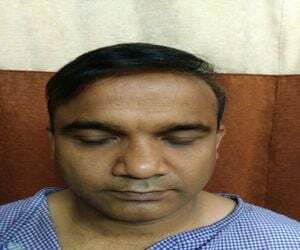 Some cases demand Mega Liposuction where large amount of fat removal is done and 10 -15 liters of fat is removed at once. There are certain precautions to be taken before and after undergoing a Liposuction surgery. This will be discussed in detail with the doctor. A lean and fit body is the ultimate goal of every human being both male and female. Who wants flabby arms or legs or thighs or a bulging stomach. Now, you can say goodbye to all those flabby appendages you have by checking in to Dr Y V Rao Clinic in Hyderabad and Vishakhapatnam for a liposuction procedure. Liposuction is a time tested procedure that can remove unwanted fat cells from various parts of your body. The procedure time depends on the amount of fat to be removed and can take upwards of 1 hour. Full recovery is usually within 1 week. Cost depends on the amount of fat to be removed and varies between Rs 50,000 and Rs 1,50,000. These vanish during the recovery period. For a finely chiseled and toned body get your liposuction done at the state-of-the-art Dr Y V Rao Clinic in Hyderabad or in Visakhapatnam by the best cosmetic surgeons in India. Dr. Y.V. Rao is a very humble and knowledgeable doctor. He has done an amazing job with my arms and sides liposuction. The staff is accommodating, friendly and caring. Wherever I am going, I am getting tons of compliments about my thin and ton looks. I had an amazing experience at Dr. Y.V. Rao’s clinics right from starting to end. The entire process was explained to me in a crystal clear and transparent manner. The doctor is an expert at his job. I went through sculpting of calves, knees and ankles liposuction.